Luxurious, Old Style Hospitality! Your hosts, Russell and Carol go out of their way to ensure you have a relaxing time. From the luxury of an antique 4-poster bed to waking to a hearty country breakfast, cooked and served to you in the dining room your stay will be a delight. This private guest suite, designed for 1 or 2 couples, consists of two bedrooms and bathroom in a gracious villa. 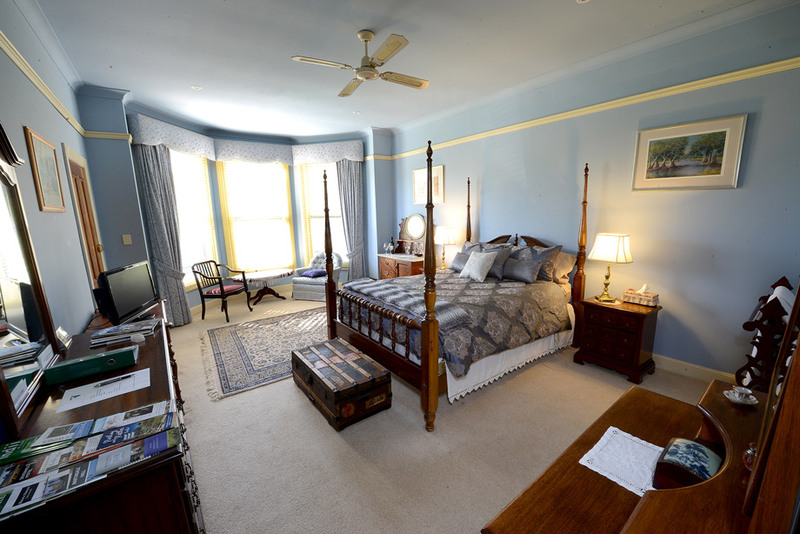 Your own private entrance leads into the Blue room with antique four poster bed and antique décor or you may choose the green room with antique brass half tester bed and an antique single bed. Luxuriate in the gorgeous spa for two and give up cooking for your stay. Order your hearty cooked breakfast and dine in our elegant dining room. 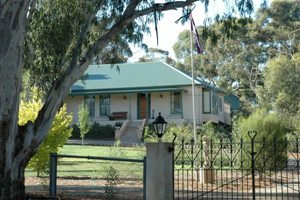 Positioned in a lovely rural setting on the Riesling Trail, this is the perfect location to spend your time in the Clare Valley. There are two barbeque areas for your use.